Khomar and Aya have been told that Aya’s father is trapped within the hidden city of Ichtus, surrounded by an army of the dreaded Dormankye. Needing not only an army but also a guide, they seek the help of Khomar’s father, the chief Ghordmon of Auxland. But Khomar knows that the peace-loving Auxlanders have grown comfortable in their mountains. Will family rivalries, long-kept prejudices, and deeply seated distrust undo all of their plans? And there is a more sinister darkness that has crept into Khomar’s beloved homeland. As conspiracies and secrets are brought to light, where will Khomar and Aya turn when all of their gifts and abilities are simply not enough? 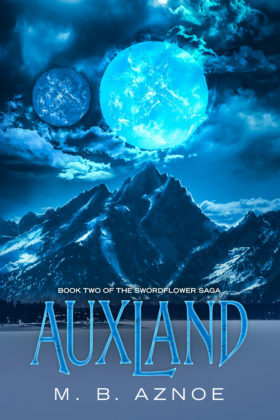 Book 2 of the The Swordflower Saga series.